By William Mackay: The truth has finally come out as to why WBA light welterweight champion Amir Khan’s July 23 fight against IBF light welterweight champion Zab Judah will be shown on Primetime pay per view instead of Sky Box Office. Khan is saying that Sky isn’t interested in showing his Judah nor his hoped for big unification bout against WBC/WBO Timothy Bradley on their network. Khan is totally in the dark as to why Sky isn’t interested in showing the fight, but it could be a result of the problems Khan had with them last time he fought Paul McCloskey. Khan may have made a grave mistake by taking his fight with McCloskey off of Sky when they decided not to move the Khan-McCloskey fight of PPV and make it a non-PPV fight on Sky 3. Khan didn’t like that idea and instead moved his fight to a rival network Primetime PPV, where the Khan-McCloskey brought in a respectable 70,000 buys. As it turned out, Khan was right by believing that the McCloskey mismatch with a PPV worthy fight. However, he may have burned his bridges by taking the fight off Sky. In hindsight, that may not have been the wisest move. Khan may want to consider doing a little groveling with Sky to try and get his fights back on their network. It’s considered an achievement for a fighter to get shown on Sky, and yet Khan pulled his last fight of their network to have it shown on Primetime. They may have been a bad idea. 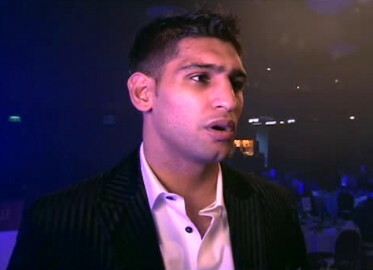 Khan may be waiting an awful long time for Sky to come knocking if he fails to produce against Judah and/or Bradley. As it is, Khan barely beat Marcos Maidana and didn’t exactly impress against the little known McCloskey. Khan can go at any time with his questionable chin. Khan’s promoter Richard Schaefer came to Khan’s defense, saying that if Sky pulls the plug on Khan they will be potentially pulling the plug on all Golden Boy fighters. It’s a pretty bold statement by Schaefer because Khan end up being a flash in the pan and Schaefer could end up with nothing if he backs Khan to the hilt and ends up with a fighter that gets knocked out by Judah and then knocked out again by Bradley. Then Schaefer would have a sinking fighter and a lost connection with Sky.